Comm Eye Health Vol. 31 No. 104 2019 pp 91-92. Published online 11 February 2019. Ulverscroft Chair of Global Eye Health: Queens University Belfast & Orbis International, Royal Victoria Hospital, Belfast, Ireland, UK. Global Lead – Development Effectiveness: The Fred Hollows Foundation, Sydney, Australia. Research Manager: Brien Holden Vision Institute, Durban, South Africa. A successful cataract outcome monitoring and continuous quality improvement system will assist practitioners and centres to identify and implement ongoing improvements in eye care delivery. 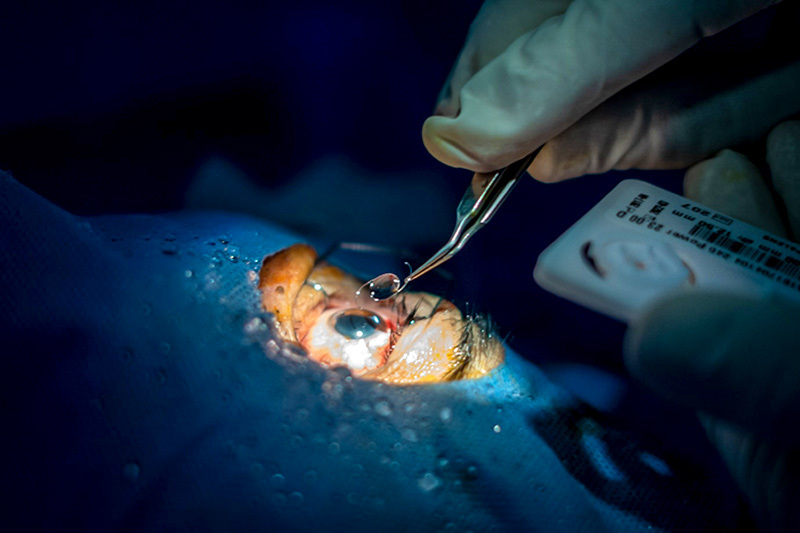 A study from Kenya1 showed that monitoring the visual outcomes of cataract surgery is associated with improving those outcomes. This suggests that we need to know how well our patients see after surgery to have the motivation and information to improve surgical results. Tools to help with this monitoring process, both paper-based and computer-based, were developed and made freely available.2 However, the practice of monitoring outcomes has not yet become a routine part of running ophthalmic services other than in situations where it is demanded by regulatory authorities or funding agencies. Why does measurement of cataract surgical quality matter? Why don’t we routinely measure cataract surgical outcomes? However, these issues can be addressed by setting up a good cataract outcome monitoring and continuous quality improvement (CQI) system. This can assist practitioners and centres to identify and implement ongoing improvements in eye care delivery. 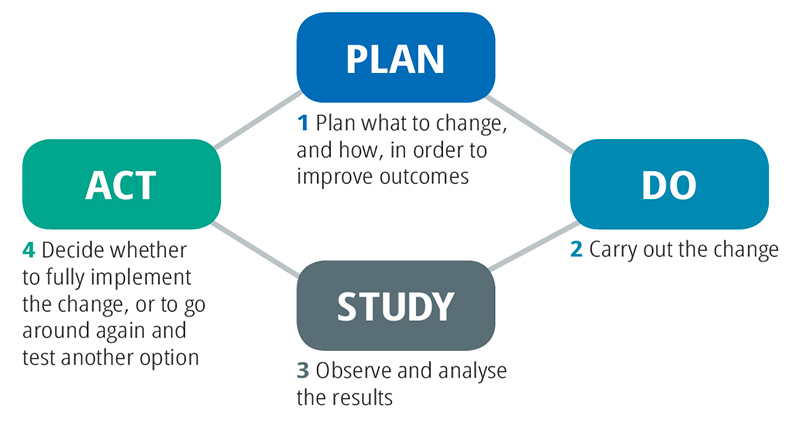 The essential elements of a successful outcome monitoring and continuous quality improvement (CQI) system that can assist practitioners and centres to identify and implement ongoing improvements in eye care delivery are described below. Defining a ‘good’ outcome, especially with modern small-incision surgery, is the foundation of an effective continuous quality improvement (CQI) system. The World Health Organization (WHO) provides standards for postoperative acuity at 6 weeks6 (see Table 1). The PRECOG study7 has demonstrated that visual acuity results the day after surgery are highly predictive of final vision. Outcomes can, therefore, also be measured 1 to 3 days after surgery. This measure of the quality of surgical outcomes is equivalent to the WHO standards, but may be more convenient for many surgeons and patients, particularly in areas with low postoperative follow-up rates, (e.g. when patients have to travel long distances). Table 1 shows the PRECOG standards for postoperative assessment 1–3 days after surgery alongside WHO standards for postoperative assessment 6 weeks after surgery. Effective, accessible and easy-to-use data collection tools, whether electronic or on paper, improve data quality and reduce the burden of monitoring activities on clinicians and administrators. Simple, visual reports of key results encourage surgeons and administrators to engage meaningfully with outcome data. Interpret the results and give supportive, non-blaming feedback to surgeons. This is an opportunity to identify potential corrective actions. Ongoing improvement processes make up the critical final element. High quality data and ideas regarding practice and system change can only improve outcomes if they are acted upon. BOOST (Better Operative Outcomes Software Tool) is a free Android and online app that allows surgeons to easily capture key cataract outcome data. It provides simple, engaging reports and provides feedback to users about how they can improve their performance. BOOST is an international effort, and is available in seven different languages: English, French, Spanish, Russian, Chinese, Vietnamese and Bahasa Indonesia. BOOST takes users through two simple steps designed to evaluate and improve cataract surgical results. Using BOOST, surgeons enter the uncorrected visual acuity on postoperative day 1 for 60 consecutive operated eyes. The app then tells surgeons how their results compare (anonymously) with other users globally. The app determines what the most common cause of poor vision is for any given user, and then makes specific recommendations to improve outcomes. For example, if the most common cause is the presence of other diseases, the app recommends specific ways to address this problem, such as a thorough preoperative examination of the eye, including the fundus, with dilation of the pupil after checking for an afferent pupillary defect. Enter data from consecutive patients, which means you need to enter every cataract case you do (no combined cases or pediatric cataract cases), unless the patient is known to have a problem in addition to cataract. Vision should be measured and entered by someone other than the operative surgeon. 1 Yorston D, Gichuhi S, Wood M, et al. Does prospective monitoring improve cataract surgery outcomes in Africa? Br J Ophthalmol 2002;86:543-547. 2 Limburg H. Monitoring cataract surgical outcomes: methods and tools. Community Eye Health 2002;15:51-53. 3 Bourne RR, Flaxman SR, Braithwaite T, et al. Magnitude, temporal trends, and projections of the global prevalence of blindness and distance and near vision impairment: a systematic review and meta-analysis. Lancet Glob H 2017; 5(9):e888-e897. 4 Zaidi FH, Corbett MC, Burton BJ, et al. Raising the benchmark for the 21st century—the 1000 cataract operations audit and survey: outcomes. Br J Ophthalmol 2007; 91:731–36. 5 Michelotti, M, de Korne DF, Weizer JS, et al. Mapping standard ophthalmic outcome sets to metrics currently reported in eight eye hospitals. BMC Ophthalmol 2017;17(269):1-8. 6 Ramke, J, Gilbert CE, Lee AC, et al. Effective cataract surgical coverage: An indicator for measuring quality-of-care in the context of Universal Health Coverage. PLOS One 2017;12(3):e0172342. 7 Congdon N, Yan X, Lansingh V, et al. Assessment of cataract surgical outcomes in settings where follow-up is poor: PRECOG, a multicentre observational study. Lancet Glob H 2013; 1(1):e37-e45.